from Steve and Terri Maxwell at titus2.com. 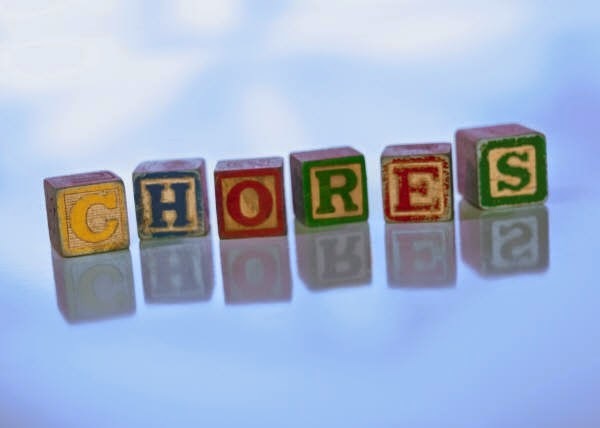 It was through their books that we really got on board with having a schedule and routine chore system in our home. It has been a blessing ever since. However, I'd like to share with you some of the "bumps in the road" that we've encountered and how we've learned to deal with them in terms of creating and implementing our family's schedules. The reality for our family as missionaries is that we've lived through many a big transition. Moving overseas (and any subsequent move to other countries and back to the USA) can be a huge hurdle when trying to keep a family schedule. In addition, living overseas presents many cultural situations that can also be seen as obstacles when trying to implement a family schedule. When living in a culture where practicing hositality is a large part of your family's witness in the community, you cannot simply reject company (even when they come and stay at all hours of the day and night). This is hard to understand for someone who has never lived overseas. So, while having a schedule has been very useful for us, making it flexible has also been equally important so that we are not slaves to the schdule but rather utilize it as a tool to help us live for the Lord. I remember the second time we returned to the USA, after having been out of the country for over 8 years. We were trying to coordinate a get-together with another family with whom we had shared a friendship for many years. Keep in mind, we were coming from an Arab culture where hospitality is very important and where guest are treated like royalty. Anyway, our friends told us they'd love to see us and that the next available Friday afternoon (when they had friends over) was going to be in two months. This shocked us! We hadn't seen them in so many years and yet they didn't seem to show any eagerness to move their schedule around in order for a visit. We weren't bitter against them because we understood where they were coming from, but it did take a little bit to get over the initial shock! You just cannot do that overseas in a culture where people are more important than a schedule and where showing hospitality is part of retaining your family's honor in the community. In our country, when a person came to know Christ as their personal savior, hospitality only became even more important because of what the Scriptures teach us. So one always had to be ready to entertain strangers, to serve tea and meals, to enjoy a loooooong visit, and to accommodate the family's schedule accordingly. Ok, back to schedules and chores! Sometimes the idea of creating and implementing a schedule for your family sounds wonderful but actually living it out (day in and day out) can be a challenge. Whether it is accommodating to a new little one in the family, moving, transitions, or simply trying to make it work within your specific set of challenges can be daunting. By far, the most important lesson we've learned when beginning (or revamping) our family's schedule for the year was to bring our requests before the Lord. We bring Him our ideas, our questions, our challenges and ask Him for SPECIFIC direction. He has ALWAYS given it. Why wouldn't He? After all, He is an amazing creator! He has set his creation to work in a specific way and at specific times. He understands order! He pays attention to details. Why wouldn't He give us specific guidance as to how to order our time, our days, our weeks, and our months? See Job 38:1 -42:5 for a beautiful, and detailed, reminder of His amazing creation and how He cares for it. You will be amazed! So we've learned that no obstacle is too big for Him and that He desires to give us specific answers and direction. Once we have that, we begin to prayerfully implement what He is teaching us. And He gets all the glory! Sometimes God's direction has come through His Word. At other times, it has come through a practical idea God has given us. At other times the solution has come from learning from other families and what has worked for them. In fact, God has blessed us with many families who have shared with us specific things they have learned that have helped them with their schedules and chores. I'd like to share a helpful resource for PRACTICAL tips and advice on scheduling. Mrs. Erika Shupe, at largefamiliesonpurpose.com has a great ability to write and express how the Lord has given them dynamic and specific solutions to issues they've faced (including scheduling, chores, living in a small house as a large family, organizing their home, etc). Erika also gives lots of details and pictures that help the reader come away with REAL ideas on implementing what she shares. We don't know the Shupes personally, but have always found their family's blog inspiring and helpful. In fact, she has a specific post regarding how they go about creating their family's schedule here. The last thing I'd like to share is the importance of working on this together as a couple. Eric has always asked me to do the preliminary compiling and planning before bringing it all to him. Once I bring my ideas and questions and concerns to him, we spend time praying for direction and wisdom. Then Eric, who is gifted at logistical planning, looks over the schedule and polishes it up. He brings it to life and really helps implement the schedule and chores in our family. His leadership through it all is vital. Not only do I depend on him for the technical side of the planning, but also for the wisdom and leadership throughout the whole process. It is extremely important for husband and wife to both be on board and working together when planning and implementing the routine. Whether you are new to scheduling or pretty seasoned at it, I encourage you to bring your specific questions/obstacles before the Lord and see how He directs. Share these things with your husband and see how the Lord uses his leadership to also give you direction. Always be open to learning from other families as well. One word of caution here: don't fall into the comparing trap! Remember that God has a specific plan for your family and can give specific direction to help equip you to live out that plan for His glory! The comparing trap is not from the Lord and will never bring Him the glory! I hope what I have shared can encourage you to know that you are not alone as you face the challenges of creating or revamping your family's schedule. I also pray that these resources I have shared can give you some creative ideas as you prayerfully put together your upcoming homeschool schedule, your family schedule, chores, etc. I'd love to know if you have any specific resources or ideas you've been blessed to use for your family as well. God bless you!